Backstage day with this talented Paul K from BrusselsOldtimers on Vimeo. here is our partnership with a photographer we admire hugely. A meeting, an idea, crazy jokes about it, common projects .. and a very nice first picture together. Thanks again to you Paul – Also thank you to the models who was there!! GREAT MOMENTS @ ZOUTE GRAND PRIX 2014 from BrusselsOldtimers on Vimeo. Another amazing weekend with the team. We spent great times @ GP zoute! if you have not had the chance to be there? don’t miss it next year. A place that brings everyone, see exceptional cars in 3 days. Bavarian Find – 3.0CSI from BrusselsOldtimers on Vimeo. We are here again on the road to bring back this beautiful CSI 3.0!! For the story, the BMW belonged to a gentleman who had started the restoration, but because a lack of time he had to put an ad to sell it .. We heard that the car was for sale, we immediately took contact with the owner . What a find! It becomes a very rare model with this kit “Alpina & Batmobile”. Now just starting the end of restoration… and on the road again! 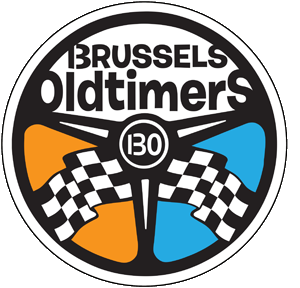 An another classic Bmw in Brussels from BrusselsOldtimers on Vimeo. Mathieu always told us he wanted a classic 2002 Bmw , we found it this morning, in Brussels, only a few Km from our home! Here is the video of this barn find! Mathieu is now an happy guy! As we are! Julien’s 65″ Cox from BrusselsOldtimers on Vimeo. BMW 2002 TURBO @ Stars Rallye Télévie from BrusselsOldtimers on Vimeo. A great day for a good cause. Incredible roads, brilliant sunshine and unknown landscapes. We loved this day. Thank you to the organization for this wonderful journey. We had a small problem with the brakes, but nothing serious. We were able to repair it with a good maredsous beer in our hands and on th road again to finish the trip to Waterloo. 130 Soap Box : Let\’s Race! from BrusselsOldtimers on Vimeo. We were not ready before our road tests but now the soap box is ready for many races in the colors of BO. We chatted with a beer in hand, laughing about it : but now it\’s done! What moments of laughter and excitement in the heart of Brussels! We sought after a means of supporting the red devils : found! COME ON BELGIUM! Imagine the world cup as a race! Four disc brakes, perfect form, incredible colors, overinflated tires. and let\’s race! A discovery sunday : 67′ Amazon Kombi from BrusselsOldtimers on Vimeo. We did’nt have yet a swedish car in our team, now we’ve one! Welcome home! The True about the 21/12/12 from BrusselsOldtimers on Vimeo. Do you know who really saved us from the end of the world? Savez vous qui nous a vraiment sauvé de la fin du monde?